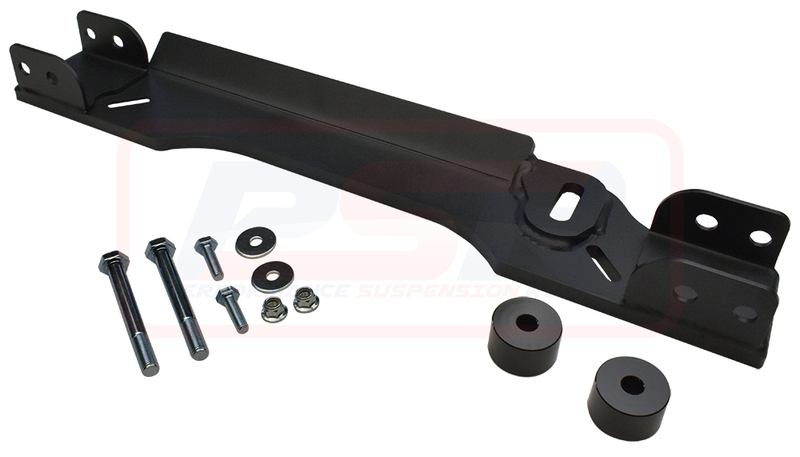 PSR's Holden RG Colorado diff drop system is a bolt-in solution which is a heavy duty fabricated crossmember and spacer kit. 16mm bar is used with 4mm mounting ends for ultimate strength with a recessed hole milled in to protect the diff mounting bolt head from damage. 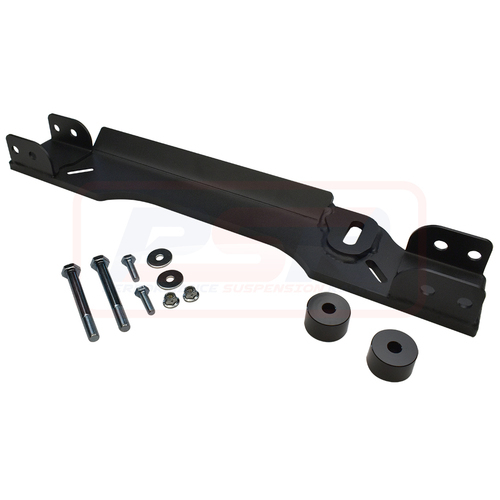 The crossmember can be used with the factory bash plate or an aftermarket unit and comes powder-coated Black for longevity. The front component is a machined alloy block and comes with new bolts. Kit will drop the inner CV joint around 30mm and will work with a 2-3 and 4" lift. Suitable for RG Colorado, D-MAX, Colorado 7 and the MU-X.